With our Innovation Centre, GESCO is at the forefront of leveraging the advances in medical technology to help our customers deliver better care to more people around the world at a lower cost. One of GESCO’s key strengths has been the translation of insights into reality by addressing the gaps in the medical field through product design. We have the infrastructure and expertise to go from an idea to design, from prototype to production, supported by production processes that are designed to move from concept to volume production in a fast and cost-effective manner. 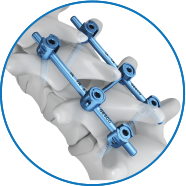 A few of our acclaimed innovations include GAAS, a spinal product and the Halifax Nail, an orthopaedic product, both built with some of the biggest names in the Neurosurgical and Orthopaedic specialities.